It’s been a little quiet around here lately. I injured my ring and middle fingers on my left hand last week, and was instructed to rest it as much as possible. Typing was especially painful, which was a major bummer to me. I tried making a brace to keep the fingers in question immobile, but that didn’t help the typing issue. So, rather than wallow in self pity and blogging withdrawals I decided to tackle one of the biggest projects on my to-do list. Guys, I cannot express how excited I am to be able to finally cross ‘Organize Printables Pages‘ off my to-do list! If you’re just joining us here allow me to explain. I’m a bit of a printable junkie. 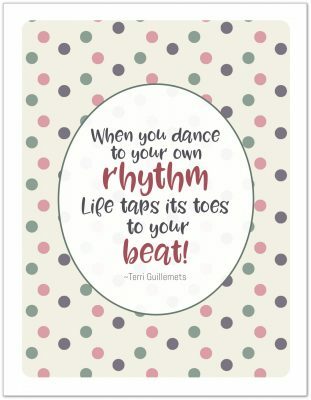 I love creating new printables to help me and my family get and stay organized. I love making planner pages to help me stay on track. I love making forms and pages that allow me to focus my ideas and that give me a place to keep those ideas. But above all else, I love sharing those printables here with all of you! In the last two years I’ve made and shared a number of printables. The actual total is getting pretty close to 200. That’s ALOT of printables! With that many shared I needed a way to make it easy for everyone to find them. I thought I had a pretty good system, but I quickly outgrew it. After lots of research, testing, trial and error, I think I’ve finally put together a system that will continue to grow with me. 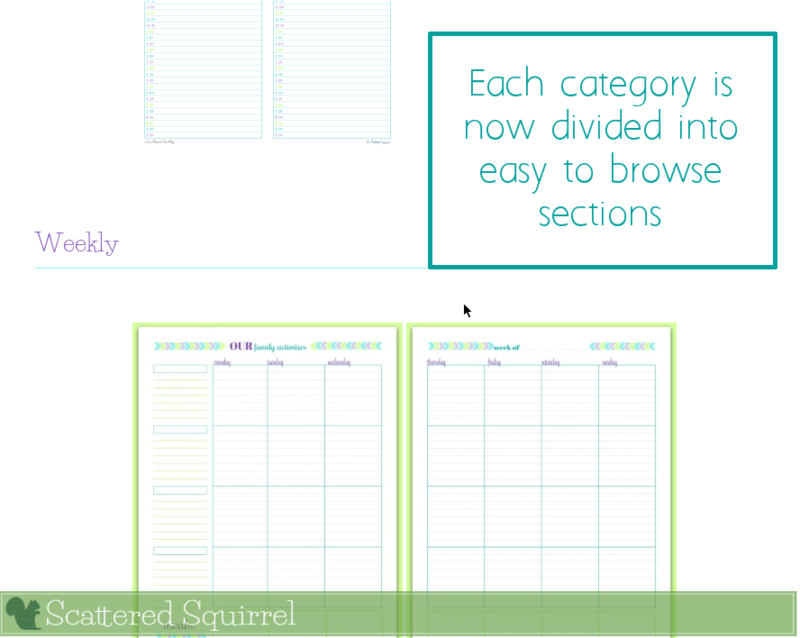 A few months ago I asked you for your thoughts on how you would like to see the printables pages organized. After all, you’re the ones who use them more than I do. I got some wonderful feedback, and I used it to help guide this project. For me, this is stage one of the over all grand plan. Just like when it comes to doing home renos, sometimes you have to work with what you have while you save for the day you can afford to start tearing down walls. All in all though, I think the changes will make these pages easier to navigate, and as I mentioned above, this new set-up is one that will grow with me as I continue to create and share more printables. The first change is more cosmetic than anything else. I changed up the category buttons and added the Kitchen Binder Printables to the group. The next step was the most work. One of the most popular suggestions was to split the pages into categories so that it was easier for you to find what you were looking for. So, I removed all the galleries from the pages and made new ones. Each page now has multiple galleries divided into sections to make browsing easier. On pages like the Dated Calendars or Holiday Planner, that’s not so bad, but some of the pages, like the Home Management Printables have a ton of sections. Sure, the sections make it easier to find what you’re looking for, but that can still be a lot of scrolling. I really wanted to make navigating and browsing the printable collections easier, and I think the next feature is just what I was looking for. 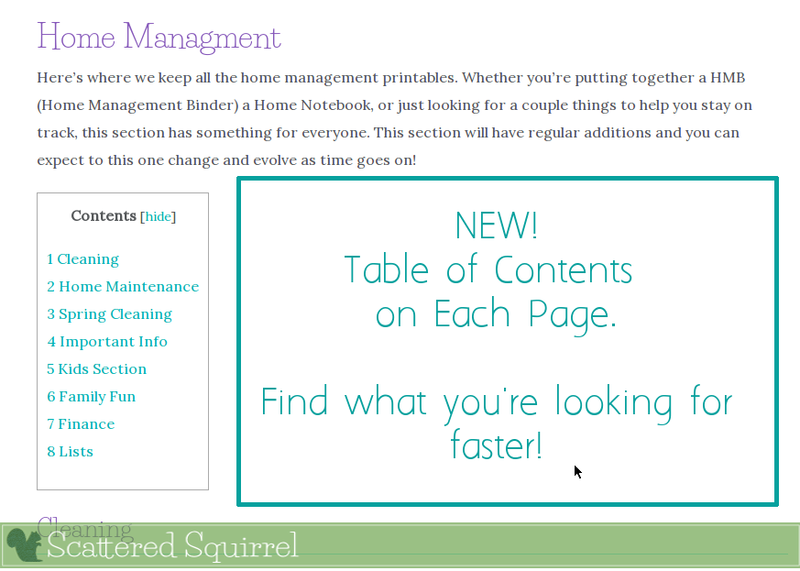 A table of contents can now be found at the top of each and every page! I’m in love with this feature. The organized side of me did a happy dance when these were put in place. I love that it’s now so much easier for you all to find what you’re looking for, just click the section you want to look through and it will take you straight to it! Simple, easy, and organized! I’m excited about how these turned out. In the end, the changes may not look like much, but I really believe that having them organized in a way that is easy to browse is going to make sharing them that much better. Thank you to all of you who took time to offer suggestions and advice. I can’t wait to hear what you think! I’m linking up at the these great parties! Previous Post: « Clean a Coffee Thermos With NO Scrubbing!